The stroke used to return balls which bounce to the left (non-racquet’s) side of the body. Like the forehand drive, it consists of a horizontal swing which imparts some top spin to the ball, and sends the ball forward swiftly to land near the baseline. Note – This stroke should be just as easy as the forehand drive. The only reason players think it more difficult is that they do not practise and use it as much as the forehand stroke. Except for a change of grip and body position, it is much the same. a. Eastern grip (there is a change in grip for the forehand and backhand drives). 1′. The racquet handle is shifted slightly so that the first knuckle is on the top side plate of the handle, palm is on top of handle, facing downward. 2′. The thumb may be placed directly up the back plate of the handle, acting as a brace, thus strengthening the grip. However, this position of the thumb is optional, many players preferring the thumb in a diagonal position so wrist action is facilitated. 3′. The opposite face of the racquet is used to hit a backhand from that used in the forehand. a. Adduction of the wrist, or movement of the wrist toward the body, during the backswing, and abduction, or a definite throw of the wrist away from the body, accompanying the forward swing. Since the hand is more or less on top of the handle in the backhand grip, lateral movement of the wrist takes the place of the flexion and extension used in the forehand drive, when the hand was more on the back of the handle. b. The wrist holds the racquet well up, so that the racquet head is higher than the wrist, throughout the entire stroke. The hand is in a strong position on the top side of the racquet handle. The thumb may be placed up the back plate of the handle. The opposite face of the racquet is used from that in the forehand drive. Note – Players who fail to change the grip find the wrist in a weak position for action, since the hand is on the front of the handle rather than the top. 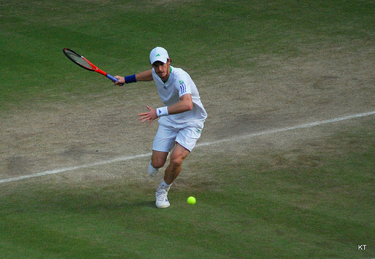 If the player attempts to hit the ball with the same side of the racquet as in the forehand, the wrist faces the ball and is in an awkward position for the stroke. This happens frequently when the incorrect forehand grip has been used. a. Body is at right angles to the net, with the right foot toward the net and the left foot away from the net. b. Because the backswing is across the body, there must be decided body rotation away from the net to insure a full backswing. 1′. Thus it is best to place the right foot diagonally forward toward the left net post. 2′. The player’s back is almost turned on the net during the backswing, with the player looking over her right shoulder at the oncoming ball. As an introduction to the forehand drive, the courtesy stroke should be learned. This stroke is a forehand volley with a half swing, used to start the ball for a rally or to get it back to the opponent before service. It allows the player on the opposite court either to catch it in his hand on the first bounce, or to get it into play for the rally. The ball flight of the “courtesy stroke” is an upward arc over the net. The ball is not hit forcefully, and will land nearer the service line than the baseline. A tennis player has use for this stroke from the first day he wields a tennis racquet to the last day of his tennis career. Champions, warming up before a match, start the ball to their opponents with the courtesy stroke. Coaches use this stroke in setting up the balls for their pupils. Since ball boys are a rarity in most tennis matches, the courtesy stroke assists the players in getting the balls back politely to the server before each point. Note – It is decidedly impolite to start the ball, or retrieve it by tossing it up in front of the face, and hitting it in a downward direction over the net. Too frequently the ball will not clear the net, and if it does, the bounce is usually difficult for the opposite player to handle. 3. Toss the ball out toward the right net post, about two feet from the body, at thigh-height (half way between the knee and waist). Tennis is easy to learn if you have a baseball background. The forehand and backhand drives are similar to batting; the serve involves the same muscular action as an over-arm throw. Of course the tennis drives do not aim to be homeruns, but neither do all baseball hits. Ability to control the base-hit, grounder, and bunt should carryover into controlled tennis drives. Effective overarm throws should carryover into forceful, accurate serves. Wrist flexibility and strength developed in baseball practise should help tennis grips and wrist action. Examples of .carryover from baseball to tennis are found in the former tennis champions, Frankie Parker and Alice Marble. Both were outstanding baseball players and both learned to be outstanding tennis players in a few years because of the direct carryover of skill from one sport to the other. Skill in any sport with coordinations similar to tennis is excellent background for rapid learning. Thus Fred Perry became a famous tennis champion in five years by transferring his skills from table tennis, in which he was an International Champion. 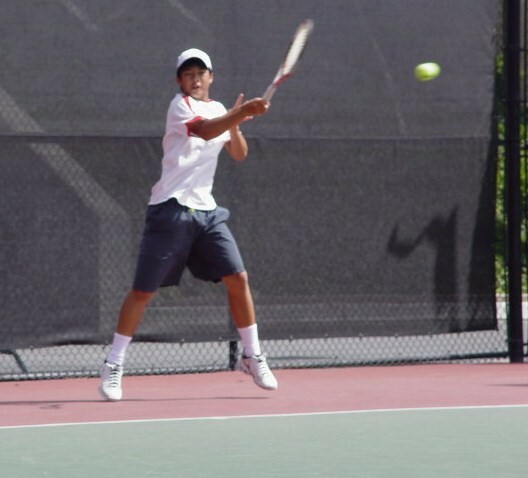 One American tennis star held the California State championships in tennis, badminton and table tennis at the same time. Likewise, golf players tend to become good tennis players and vice versa. 1. Get acquainted with your tennis racquet and ball. Feel the difference in the racquet swing and the liveliness of the tennis ball, as contrasted to your baseball, badminton, or golf swing. You must locate the proper grip on the racquet handle in order to hit the ball squarely in the middle of the gut. 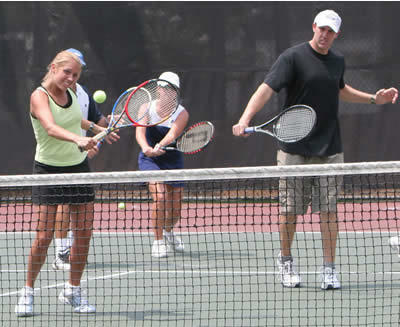 You must learn to bat both right-handed (forehand) and left-handed (backhand) in tennis. A slight shift in grip will be necessary in the backhand. 2. Check your form in swinging against that of a good tennis player to be sure you are using the right mechanics. Try to imitate the good player. The year 2014 has not been kind to Andy Murray, not kind at all. After a whirlwind two years between 2012-13; Murray won gold at the 2012 Olympics, his first Grand Slam at the 2012 US Open and of course, the 2013 Wimbledon Championship. Murray was at his zenith, he had become the first Brit to win Wimbledon since the late Fred Perry, who achieved the feat in 1936, becoming a national darling and assuring himself of a knighthood years down the line. Then that troublesome back flared up again. After the 2013 US Open Murray underwent surgery in an attempt to try and rid himself of the lower back pain that had plagued him since the early stages of the season. Returning from injury is one thing but splitting with your coach, the coach that has guided you too your Gold Medal and Grand Slam successes, is far from ideal. In Murray’s defence, it was more Ivan Lendl, who had family commitments that he wasn’t able to meet when travelling around the world coaching, than him behind the split. Back to 2014, quarter-final appearances at the Australian Open, Wimbledon – where he upset the betting, going out to Grigor Dimitrov in a feeble fashion, leading many to question the mentality of the 27-year-old – and the US Open, as well as a semi-final appearance at Roland Garros; his joint-best performance there, meant it was the first time that Murray had not competed in a Grand Slam final since 2009. But it wasn’t just a drought in the Grand Slams, rather tennis as a whole. Murray struggled profusely throughout 2014. 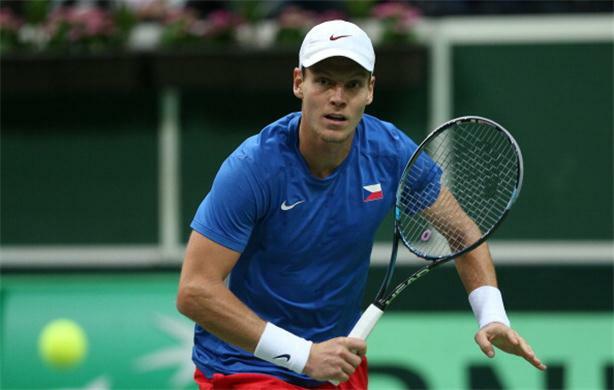 He has seriously toiled but in recent weeks, he has not only made it to his first final since his Wimbledon victory, but he has tasted success. After taking a wildcard for the Shenzhen Open he managed to beat Tommy Robredo, after saving five championship points, to end his 14 month drought and get his hands on some much needed silverware. So now that he is back to winning ways, is it back to the Murray we have come accustomed, the all-conquering Murray? The comeback is no longer in its primitive stages. Murray’s lower-back is perfectly healed now; actually the surgery would have made it stronger. So from a fitness standpoint Murray is as fit as ever. Now that is a real worry for those who have leapfrogged him in the rankings, as Murray is coming for you. Nobody likes a cold, calculated man chasing them but, that is exactly what all the players up to Novak Djokovic will now have to look out for. Changing coach is a big moment in any sport – look at Manchester United without Sir Alex Ferguson – and tennis is no different. 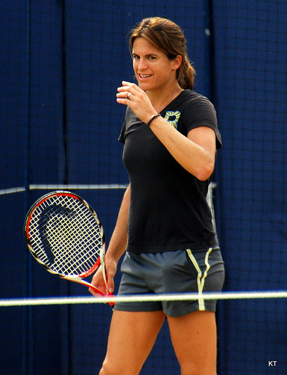 Murray has had to adapt from the coaching regime of Lendl to that of new coach, Amelie Mauresmo, who has been in place since the French Open concluded. These two are building up an intrinsic working relationship, something that will only get better with time. Tennis is full of waves. Murray was riding one in the years prior: reaching the final of Wimbledon, winning the US Open and then finally winning Wimbledon. Murray was red-hot for those 18-months. But as waves go in, they must also go out – this is the crest that Murray was on for most of 2014. All players go in and out of form, sustaining it is the biggest problem, and you can only sustain form when you are playing regularly, something that Murray has not been doing this year, but will be from now. Hopefully Murray will be able to qualify for the ATP World Tour Final in November. A good showing there will put in him in the right frame of mind to do well at the 2015 Australian Open. Murray needs to use Shenzhen as a springboard. He’s broken his duck and now its time to go back to playing tennis. Good form in tennis, as in swimming, golf, or other sports activities, is a variable quality which defies definition. It appears in various shapes according to the personality and physique of the individual player. The terms that apply to good form tennis stroke production are ease, rhythm, balance, efficiency, power. ACCURACY and SPEED are essential in the good stroke. Players achieve these qualities in their strokes by devious methods. The types of strokes that seem most natural and suit their physiques and personalities are best. An example of variation in a “good form” tennis stroke is the use of the circular and the straight backswing. It is more natural for some players to lift their racquets back, as in preparation for batting or throwing a baseball. For others, the natural back-swing will be a straight throw-back of the racquet, at the height at which they intend to hit the ball. We see national champions of both varieties, although the majority of the top notch players use the circular backswing. Another variation is the amount of wrist action used in a stroke. Some players use a great deal of wrist snap with rather a short arm swing. Others use a long arm sweep with less wrist action. The important thing is to have a swift, low drive that lands deep in the backcourt. As long as the strokes are accurate and forceful, and the player is well balanced, untiring and efficient, we may say “good form” is present in his tennis game. Learning to “stroke” the ball is the chief objective for a beginner. It can be aimed more accurately and sent more forcefully if it is carried forward on the racquet strings in the desired direction. A momentary impact of ball on racquet, which results when the racquet jabs at the ball, gives neither an accurate nor a forceful ball flight. Players who have formed the habit of “hitting” at the ball — if they continue to “jab” — they fail to improve with practise. The “stroke” must be used if such students wish to emerge from the mire of inaccurate and ineffectual play. The beginner’s strokes should be the embryonic form of the advanced strokes. The concentration is on the principles of good form with expectations of increased accuracy and speed as the student masters the stroke. Patience is the watchword. Accuracy in a tennis stroke depends primarily upon the racquet face angle at the time of contact with the ball. If the racquet faces upward, the ball goes upward, etc. The adjustment of the racquet face angle, to the ball is learned unconsciously. The more times the player hits the ball, the more accurate he should become. However, if a player learns strokes with which accuracy is difficult to achieve, he may show little improvement. Good form in placing spin on the ball means utilizing the spin which is best for obtaining the desired results. The chop stroke, which is characterized by back spin, is not efficient as a foundation stroke. Often the player who continually uses a chop is said to have “poor form.” Yet the chop and slice strokes, used occasionally when a low or side bounce is desired are most effective strokes, used by the best players. The player who uses a top spin drive on all occasions is considered to have good form, but he is lacking in versatility. Since many of our former champions have won through use of top spin, and very few topflite players have risen to heights through use of chop or slice spin, our standards of good form are set up accordingly. The foundation strokes must send the ball forcefully and accurately near the baseline in order to keep the opponent well back, and on the defensive. Since the top spin drive has a wide margin of safety over the net, and will come down into the court due to the top spin, it has always been the most efficient foundation stroke. Since the chop tends to rise, due to the spin, it must clear the net by a small margin and cannot be hit with too great force or it will sail out of the court. The long, fast bounce of the top spin drive is contrasted to the short low bounce of the chop or slice, and it keeps the opponent farther back than the chop or slice. The ball tends to move away from the greatest wind resistance on the front of the ball. Thus in the case of top spin, the ball is rolling forward as a wheel rolls. The greater wind resistance is on the upper side of the ball, since the forward spin meets the air resistance at that point. Consequently the ball tends to move away from that resistance; in other words it moves in a downward direction. There is the least wind resistance on the lower side of the ball because at that point the ball spin is moving backwards. In the case of back or chop spin the greater wind resistance is on the lower side of the ball and the least wind resistance is at the top, so the ball tends to move upwards. The flight of the ball in a top spin drive is an arc. This will be a very flat arc if a small amount of top spin is applied, and a decided arc if a great deal of top spin is applied. The ball may be hit upwards to pass three or four feet above the net and will arc down into the court if top spin has been placed on the ball’. The flight of the ball in the chop is more of a straight line, curving slightly upward until the momentum is expended, when it drops rather abruptly. Thus a chop which is hit upwards over the net, passing above it three or four feet, is likely to sail out of the court if it is hit forcefully. The bounce of the top spin ball will be long. The bounce of the backspin ball will be short. The maximum height of the top spin bounce for a ball hit one foot over the net will be approximately three feet, while in the case of a chop clearing the net by one foot the bounce will be less than two feet at its maximum height. The top spin ball may have a twelve foot bounce in length while the chop bounce will be less than half that length. A ball with spin tends to bounce in the opposite direction from which it traveled through the air. 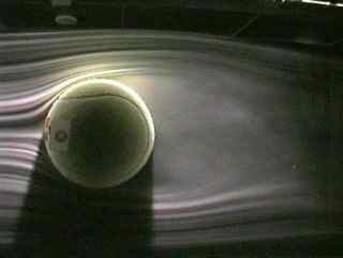 Thus a top spin ball tends to rise on the bounce, and a back spin ball tends to hug the ground. A heavily sliced ball may change its direction on the bounce. The classic example of this is the ability of the cut stroke artist to send the ball over the net with so much under spin that the ball bounces back oh his side of the net. Usually, however, there is so much more linear force (forward momentum) than kinetic force (rotary momentum, i.e., spin) that this opposite bounce tendency does not show up in the bounce. For example, the slice serve curves through the air to the left (from the server’s point of view) and also bounces to the left. The twist serve, however, has so much spin as compared with its forward momentum that it curves through the air to the left, but bounces to the right. Spin on the ball may be defined and explained according to compass directions. Let us think of spin from the standpoint of the player who has hit the ball. We can visualize the ball revolving as it leaves our racquet. First take the north, north-east, and east spins. North spin is top spin, used in the forehand and backhand drives. The racquet travels from the back of the ball toward its top, making it roll forward. North-east spin is a combination of top and side spin, used in the Top Slice Serve, which is often miscalled the Slice Serve. Tennis is definitely making a comeback, with more people watching the big games than ever before. There’s even a new crop of tennis players, just in case you needed some fresh blood. There’s truly something about tennis that get sour attention. Some people believe it’s not as intense of a sport as others, but that’s not true at all. The reality is that tennis is vicious, a battle between very athletic people. There can only be one winner, and that means that every serve is going to be fast and pretty intense. You just need to decide what you’re going to do as far as betting goes. Make sure that you go and look into ITF tennis betting first. This is the most popular form of betting, which will give you the opportunity to make a little bit of money on the side. Of course, depending on how you structure your bet, the odds may be good enough for you to make more than just a “little” bit of money. The trouble with tennis betting is that so many people make it a lot more complicated than it should be. They start assuming that it has to be something utterly difficult and that’s not the case at all. What you have to do at this point is making sure that you’re always looking at the games that you’re interested in. If you’re not interested in it, there’s no point in getting real money involved. You can always just watch the outcome and see whether you would have won money or not. It’s really like the betting world form of papertrading in the stock market. If you want to stay with just the tennis events of the ITF, you will still have plenty of matches to not only watch, but make bets on. Just make sure that you keep your bets simple to start with wand then work your way up from there. That’s the real way to get things done. The more that you can focus on these things, the better off you will be in the long run. Putting real money on the table might sound scary, but you’re not in any danger at all. This is all good stuff, especially if you win. Don’t hesitate to jump right in! Roger federer biography begins in 1981 where he was born in Basel Switzeland. Roger Federer tennis career started early at the age of six. Throughout his teens he was was ironically famous for being temperamental. Federer was often seen smashing racquets, screaming etc (completely opposite of the cool headed Federer that we know today.) In 1998 he became number one in the world (Junior rankings). Here is a nice video of him playing back in 1999. It shows the younger talent coming through. After the junior tour it didn’t take long for Federer to hit the professional tournaments and in 2000 Federer made his first final in Marseille Open. From 2003 to 2006 Federers reign was supreme with 237 consecutive weeks at number one, and in 2010 he has won 16 grand slam titles. Roger Federer tennis is known for a fierce forehand and being adaptable to any situation as Jimmy Conors stated “In an era of specialists, you’re either a clay court specialist, a grass court specialist, or a hard court specialist… or you’re Roger Federer.” This is partly what makes the Roger Federer bio so impressive. This adaptability also allows Roger Federer to find cracks of weaknesses in his opponents defense and then exploit them with the right shots. This dicey and subtle way of playing may have made it difficult for him in his younger years but once mastered it has made him a nightmare to defeat. The Andre Agassi biography summarizes the important Andre Agassi stats and life… Andre started tennis before he could walk and by the age of 9 he was all ready becoming a tennis prodigy. In fact, at the age of 9, his father bet his house on the fact that Agassi would win a tennis match against a much older player. Slightly nervously, Jim brown (the older player) offered 10K instead… Fortunately for his father, Agassi won 6-2 in the third. Andre Agassi bio continued to grow as he trained for free in bollettieri’s academy in Florida. At age of 16 he had won his first professional tournament and by the end of the year Andre Agassi stats were set at number 91 in the world! 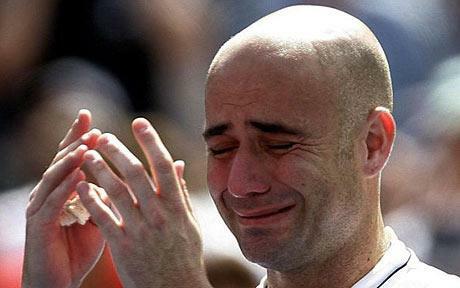 Agassi was a charismatic player and his life was much the same. Steffi Graf and Andre Agassi have been together since 1999 and now have two boys. Let’s see if the tradition carries through to their children?! Pete Sampras biography is definitely jaw-dropping! Stacking up 14 Grand Slam titles and many other unbroken records such as seven titles at Wimbledon. “Pistol Pete” was born on August 12th, 1971 in Washington D.C and is of Greek descent. He discovered a tennis racquet in his basement and began hitting against the basement wall. 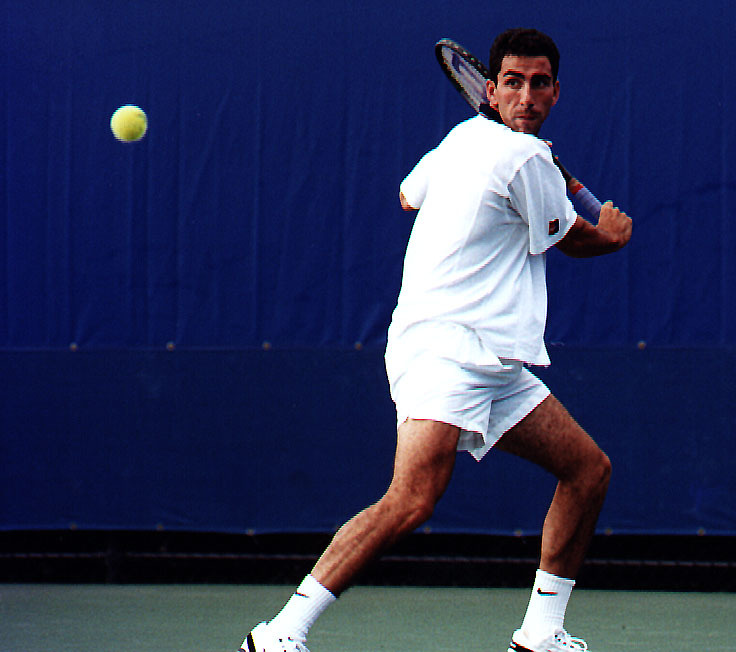 When Pete was seven his parents, Sam and Georgia Sampras, decided to move to California where he met Pete Fischer. Fishcher was apparently a bad tennis player but incredible intelligent and he offered to teach Pete the “Mental Game” for free. By 1984 Sampras Tennis was evolving and the tennis Pete Sampras champion we know today, with his tennis serve and his solid backhand and forehand tennis volley , he had made it to one of the top in the world juniors. In 1988 Pete entered the ATP tour and after winning half his matches, ended top 100 in the world! Pete Sampras tennis gained added its first ATP title in 1990 after defeating Andres Gomez in the final of the Philadelphia Open. 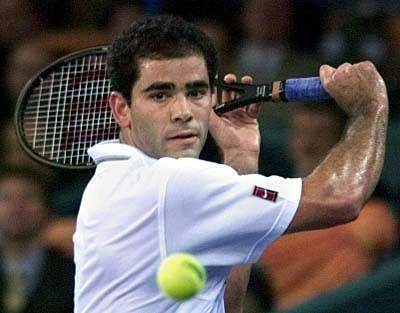 Pete Sampras tennis was left at an all time high after winning the U.S open in 2002. He never played another tournament. Take advantage of a Sportbonus with your next deposit.